One hundred thirty-two libraries in Reaching Across Illinois Library System (RAILS) share an integrated library automation system known as PrairieCat. By sharing the cost of central site equipment, computer and database maintenance staff, and telecommunications, libraries of all sizes (including public, academic, school and special) have found it possible to join the consortium and to realize the advantages of automated resource sharing. PrairieCat engages members in sharing resources effectively and equitably, expanding the quality and quantity of information accessible to our library users. Cooperation - We strive to share member resources as effectively and economically as possible. Diversity - We value and respect the contributions of others who have talents and abilities, constraints and opportunities that are different than our own, and strive to provide equal footing for libraries of all types and sizes. Responsiveness - We strive to provide excellent services by focusing on the needs and wants of our customers. Engagement - We value collaborative members with involved, well-trained, competent staff. Access - We strive for an effective, well-maintained catalog supporting strong member collections. Relevance - We support libraries in making a value-added impact in their communities through shared services and innovation. Excellence - We work to sustain a consortium that leverages our size to the benefit of the members, and provides the appropriate resources, leadership and services in pursuit of excellent library service. 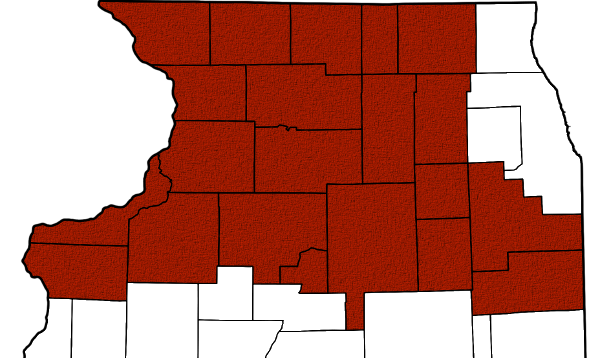 PrairieCat became an Illinois Intergovernmental Entity in December 2010. The consortium is a separate legal entity that contracts with RAILS for services to support the daily operation of the shared catalog. Membership and service fees cover approximately 70% of the operating costs, with the remaining support coming from RAILS. PrairieCat membership is separate from RAILS membership, but is optional for RAILS member libraries. PrairieCat maintains an online consortium catalog for its members. The catalog lists more than one million titles of books, periodicals, cassettes, videos, CDs, DVDs, electronic resources and other library materials. The catalog shows which libraries own a given title and if the item is currently on the shelf. Through the catalog, patrons of fully participating libraries can manage their own accounts, place holds, track their reading history, and pay fines with a credit card. Fully Participating members have the option of using the full suite of products that PrairieCat offers. Fully participating members perform all of their circulation transactions on PrairieCat. Their patrons are eligible to use patron-initiated systemwide holds. Basic Online members are fully circulating members but have limited use of the suite of products that PrairieCat offers. Their patrons are eligible to use patrion-initiated systemwide holds. Union List members have their holdings in the PrairieCat database, and share their resources with other PrairieCat libraries. Union List libraries use staff-initiated holds to request materials for their users from other PrairieCat libraries. PrairieCat uses Innovative Interface's Sierra and Encore products.